This is a sponsored post written by me on behalf of Colorado Springs – Olympic City USA and Blog Meets Brand. All opinions are 100% mine. Colorado holds a very special place in my family’s heart for a number of reasons. Between honeymooning there over 21 years ago, living there for three years and watching our son compete in gymnastics at the Colorado Springs Olympic Training Center, I’d say the place made an impression on us. We also recently visited Colorado on our current one year trip around the U.S. and Canada. On June 29th, my 21st wedding anniversary, we crossed the Colorado border and began one epic journey of a lifetime. 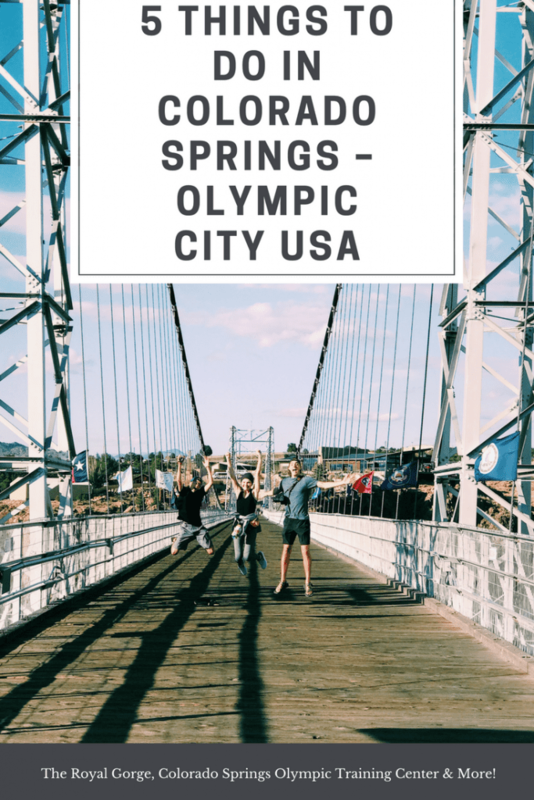 If you’ve never been to Colorado Springs – Olympic City USA, I can’t wait to give you some ideas of what to do there with your family. It was hard for me to narrow it down to only five things, but here we go! 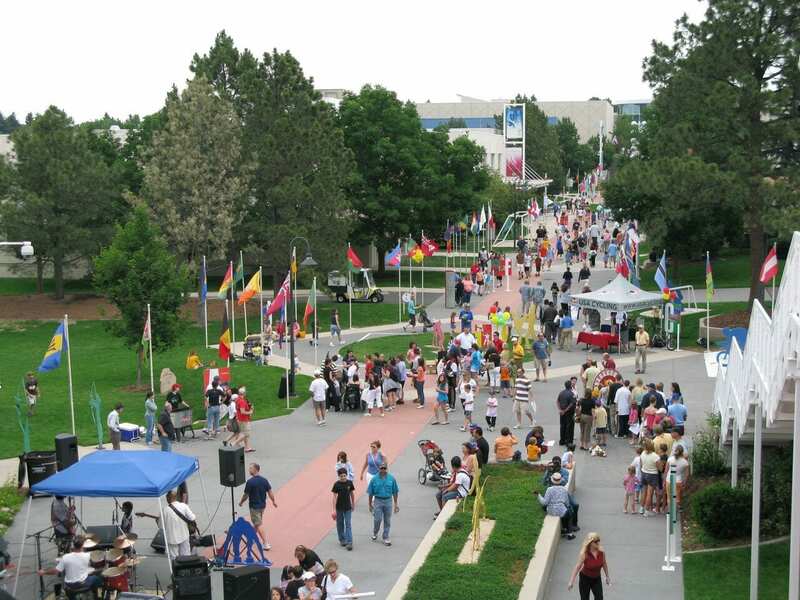 Colorado Springs is Olympic City USA and for good reason. They are home to the United States Olympic Committee, U.S. Paralympics, 23 National Governing Bodies of Sport, two Official Olympic Training Sites (velodrome and ice skating facility) and the Colorado Springs Olympic Training Center. Needless to say, Olympic values run very deep in this city and you can 100% feel it while you’re there. Back in 2009, our son was training and competing on a Colorado gymnastics team. He was very dedicated and even attended a gymnastics school where they did school in the morning and gymnastics training in the afternoons. 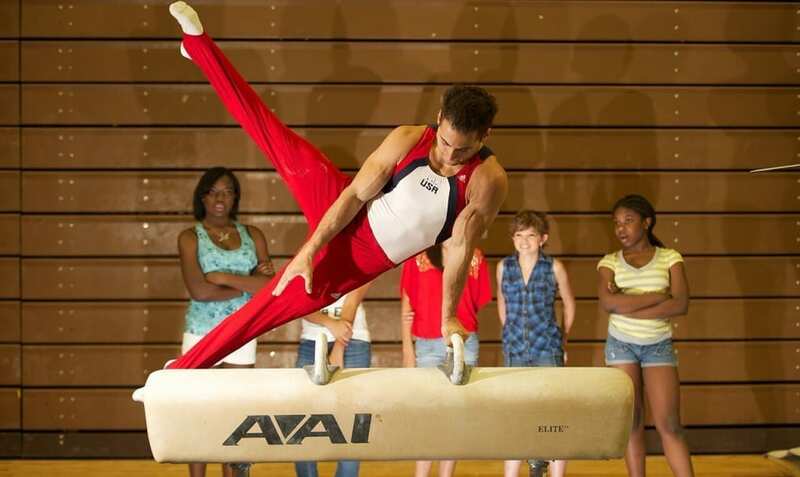 For one of his gymnastics meets, they had the chance to compete at the Olympic Training Center. I’ll never forget the look on his face, the moment we drove up. I’ll also never forget the moment we walked into the gymnastics training center area. It was one of those feelings that stay with you forever. The Olympic Training Center is open to the public and offers visitors one fantastic experience. I highly recommend taking the tour, especially if your kids compete in sports or look forward to the Olympics every two years. I don’t know about your family, but we’re glued to the TV during Olympics season. 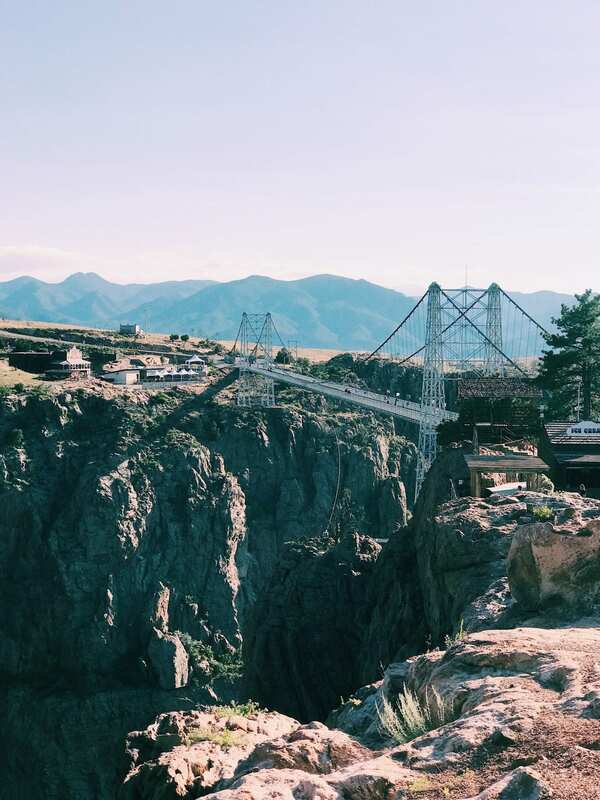 The Royal Gorge Bridge sits 956 feet above the river, making it one of the highest suspension bridges over water in the world. We spent several hours there this summer and are already talking about when we can go back. 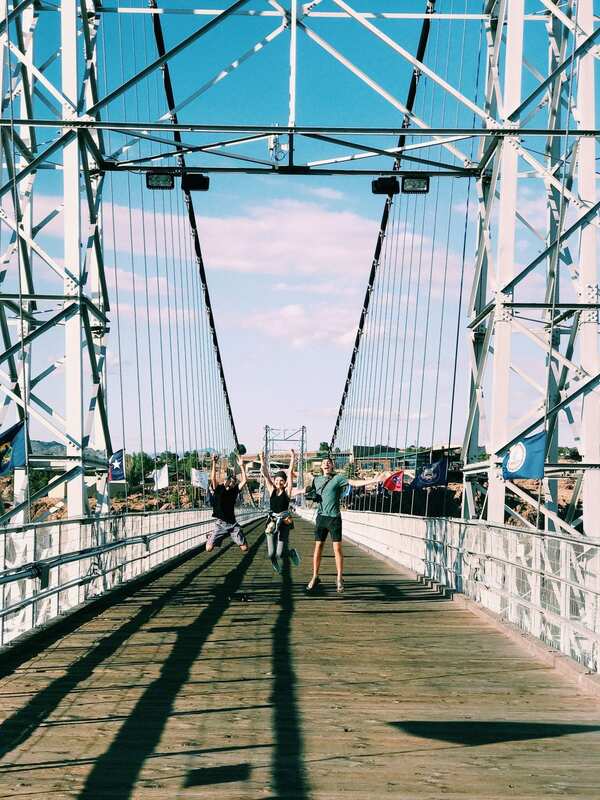 We walked across the bridge, ran across the bridge, jumped on the bridge and my 13 year old even did a back handspring (because he’s nuts) on the bridge. There were white water rafters below and also a train that can take you right along the river. This area will keep your family entertained all day long. 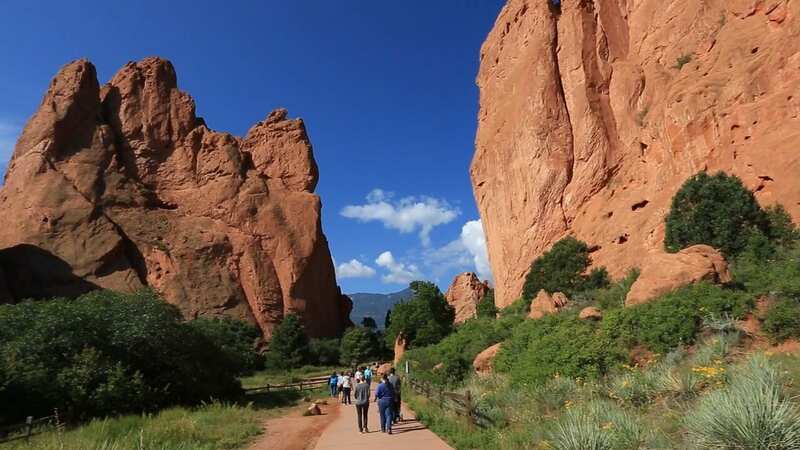 Garden of the Gods is one of the most incredible geological wonders in the world and it’s right in Colorado Springs’ backyard! Would you like to train like an Olympian? You can do so on their 15 miles of hiking trails. There’s also horseback riding, biking, and rock climbing. On a side note, if you want to rock climb, you have to fill out a free registration form at the Visitor & Nature Center. We visited Garden of the Gods this summer, but made the mistake of driving through, on a holiday no less, with our RV. I highly recommend not doing this! There are plenty of places to park your car, but maneuvering an RV through the roads and crowds was a bad call on our part. So leave your RV at the campground and head over to the park for a day of fun. It’s free and downright incredible. 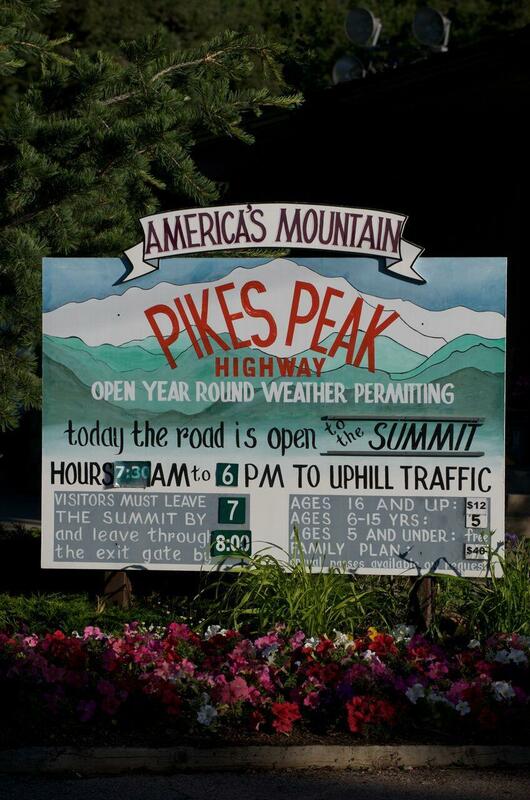 Pikes Peak is called America’s Mountain and it’s definitely a must visit site. The Pikes Peak Highway is open year round, but check before you go because it’s weather permitting. You can also ride the Pikes Peak Cog Railway and see some incredible views. Just note that it’s currently closed for repairs, but will be back open in spring of 2018. If you’re feeling super adventurous, you can look into cycling or hiking to the top. Yes, 2019 feels really far away, but mark this on your calendars! They broke ground on the museum in June of 2017 and construction should be completed in fall of 2019. This 60,000 square foot museum will feature 20,000 square feet of interactive exhibits, a state-of-the-art theater, a café and much more. 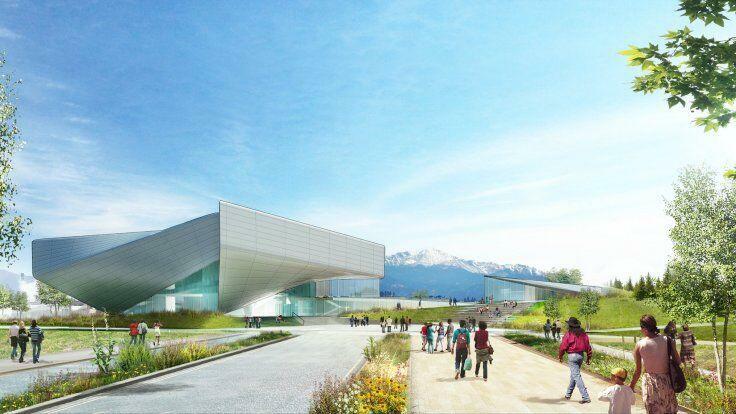 Here’s a rendering of the museum design. If you’re planning a trip to Colorado Springs before then, there are tons more museums such as The Royal Gorge Dinosaur Experience, Colorado Springs Pioneers Museum, Peterson Air & Space and Ghost Town Museum. Can you believe there is so much to do in Colorado Springs? And I only mentioned a minuscule amount of activities for you and your family to enjoy. We’re spending the month of December in Colorado and Colorado Springs is on our list for another visit while we’re there. I can’t wait! 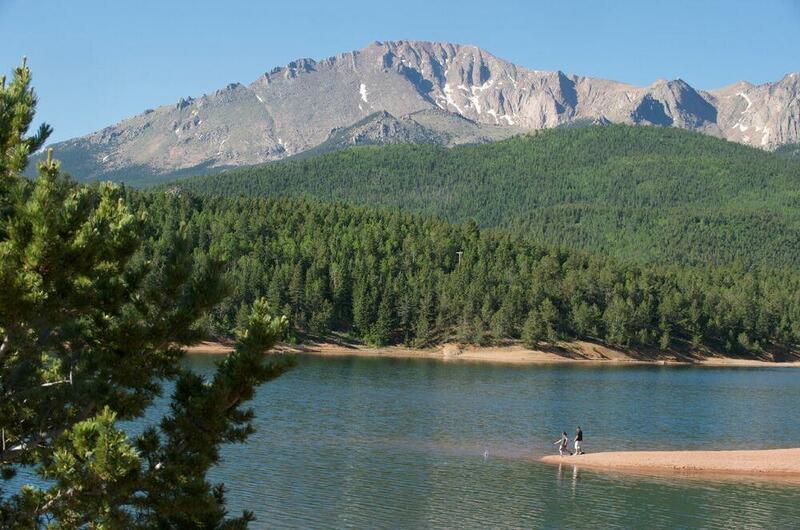 Pike’s Peak looks so gorgeous! Lots of amazing photo ops! It is gorgeous! I can’t wait to go back and get some shots of it with snow. What a great place to visit soon! I’ll make sure to bring my family soon. It’s a great place for families for sure! I’ve done all of these. I got engaged in the Garden of the Gods. How exciting! What an amazing place to get engaged.